I promised myself I wouldn’t mark the day of her passing anymore. That I would celebrate her birthday in absentia. That I would whisper a Happy Mama’s Day to the universe and hope it finds its way to her. That I’d take a couple minutes to prepare thoughtful questions before teacher conferences and always remember to express my gratitude to the people who devote their lives to making my kids wiser, more empathetic some-day adults. That I would sit with her memory on Christmas Eve after everyone else was in bed and quietly count gifts to ensure fairness and count blessings to remind myself of just how freaking lucky I am. And I’ve done all of that, except the first. I’m marking the day. It’ll be 6 years tomorrow. 6 whole years since we held her hands, kissed her face, and told her it was okay for her to go when absolutely none of us thought it was okay. It will never be okay. If she had been 115 years old it would not have been okay. So I’m marking the day because I have to. Because ignoring it doesn’t work. I’m marking it because a lot of wonderful and awful things have happened in this past year that she missed. Because Michigan footfall is fun to watch again. Because her grandkids are big, and fast-witted, and telling stories she’d love to hear, and challenging their mothers in ways we’d love to discuss with our mother. Because a man of limited vocabulary, humanity, foresight, Constitutional knowledge, historical perspective, restraint, respect for others, and glove size (which, in this case, is a euphemism for grasp on reality) wants to be President and I’d love to hear what she’d have to say about it. Because there is a new Harry Potter book and I almost didn’t read it because she would be so mad to have missed it. 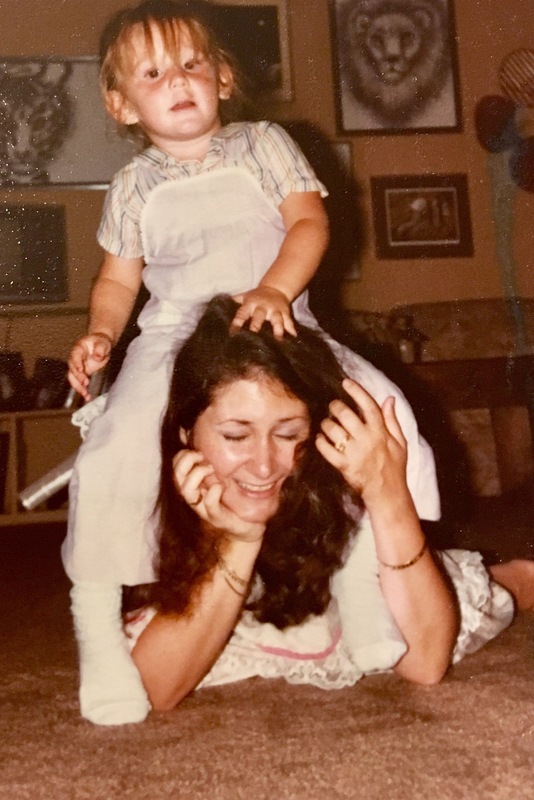 Because I’ve made some big, hairy decisions about my professional life, and broke my knee in a fluke slippery tomato accident, and am turning 40 next month, and I still need my mommy. I’m marking it because it reminds me that all of it–all of this wild and magical and inexplicably terrible and brilliant life is infinitely better when shared with someone you love, who loves you, who loves even your harshest edges. I’m marking it because I’m lucky to have had her love for almost 34 years. And because even though it was an awful day, it was a day with her and I didn’t get enough of them.